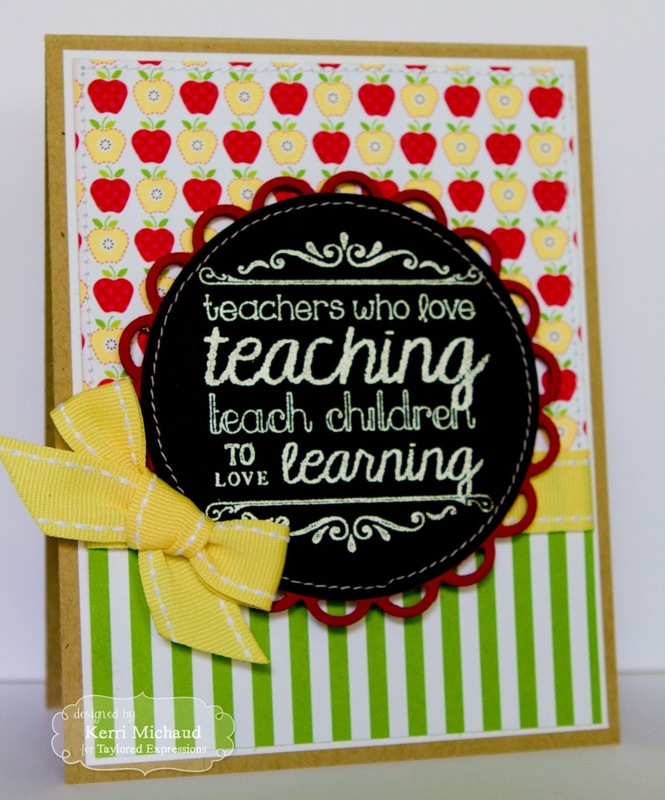 Taylored Expressions August Release Day: Love Teaching! YAY! Today is the day that all of the new release products are available at the Taylored Expressions Store! 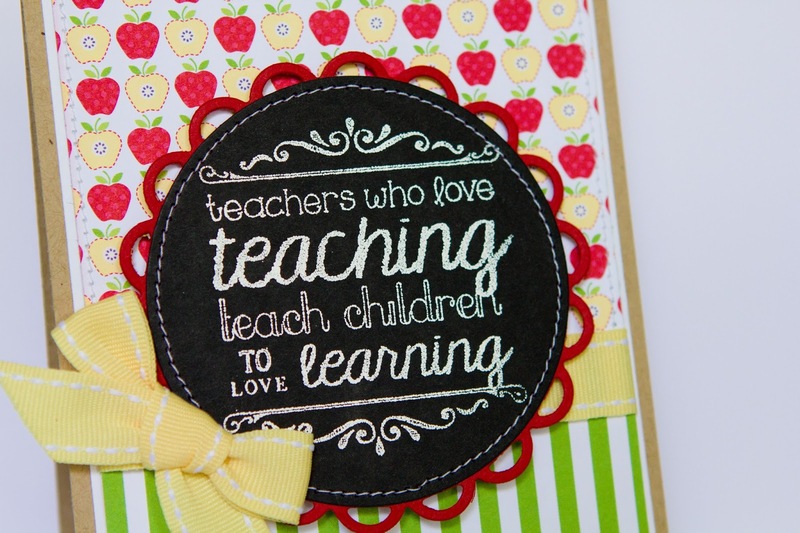 We still have more fabulous goodies to introduce today and I have a card made with a new single stamp called Love Teaching! I stamped the sentiment with VersaMark and heat embossed with white embossing powder. I then cut it out with a circle nestability and layered it over some Doodlebug Design Fruit Stand dp. I added the ribbon and some stitching and called it complete! A very simple card, but I just love how it came out! You'll be able to give this to me in, like, 4 months! I love the bold simplicity of the card - the colors are just PERFECT!